Call4Peace is known for offering complete digital marketing solutions that guarantee the growth and perfection of your business, and our expertise in Local Search Engine Optimization definitely tops the list! Our services guarantee a substantial increase in click-rate and the growth of your local clientele. Are you ready to take your business to the top? 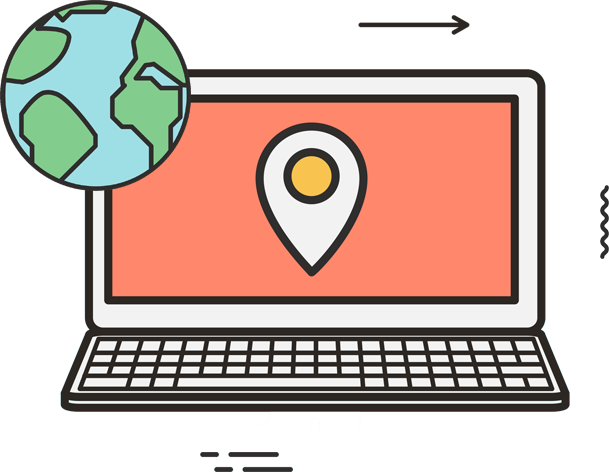 The main idea behind Local SEO is to optimize your website according to the popular keywords in your business' geographical location. This results in a significant boost in sales and increased visits to your physical store. Call4Peace is considered to be the best Local SEO company in the USA, with a proven track record of helping several local businesses grow. You, too, can begin your journey to success by availing our impeccable services today! We begin by doing our homework and finding out more about the nature of your business. This helps us with the rest of the steps. Next, our experts begin their work by conducting a thorough audit of your website to identify any errors and holes. We then put our researching skills to use by finding out the most popularly searched keywords in your location. Finally, the websites are smartly updated with the local keywords, ensuring an amazing rise in search rankings. Within a short period of time, my business managed to land outstanding sales, all thanks to Call4Peace's Local SEO services! The local SEO services of Call4Peace lived up to my expectations. My site climbed up to the first page of Google search results. Trust me when I say that Call4Peace provides the best SEO services! I was highly impressed with their approach and got the results that I wanted. The secret behind great optimization is thorough research, and our experts are simply unparalleled when it comes to research. The one thing that sets us apart from other services is our strong commitment to get your website to the top of the rankings. Our services not only take your website to the top, they also guarantee increased sales as a result of our keyword researching skills. Results speak for themselves – Call4Peace has an impeccable history of helping hundreds of local businesses grow big. No words are enough to do justice to our expertise, but these are the two main things that truly set us apart from others. We take keyword research seriously and believe that it is the key to SEO success. We make use of reliable tools to determine the competitiveness of every keyword and select the best ones for you. All things aside, without a resilient team, no business can expect its projects to be successful. Our reputation owes to our awesome team of experts who are absolutely in love with their jobs and strive to achieve more, every day!